Elitegroup Computer System (ECS) has expanded its family of ultra-compact LIVA-branded PCs for consumers with a new model called the LIVA Q. It is a pocket-sized mini-pc that features Intel Apollo Lake processors, alongside 4GB RAM, 64GB eMMC storage and HDMI 2.0. It is capable of handling 4K content playback as well. 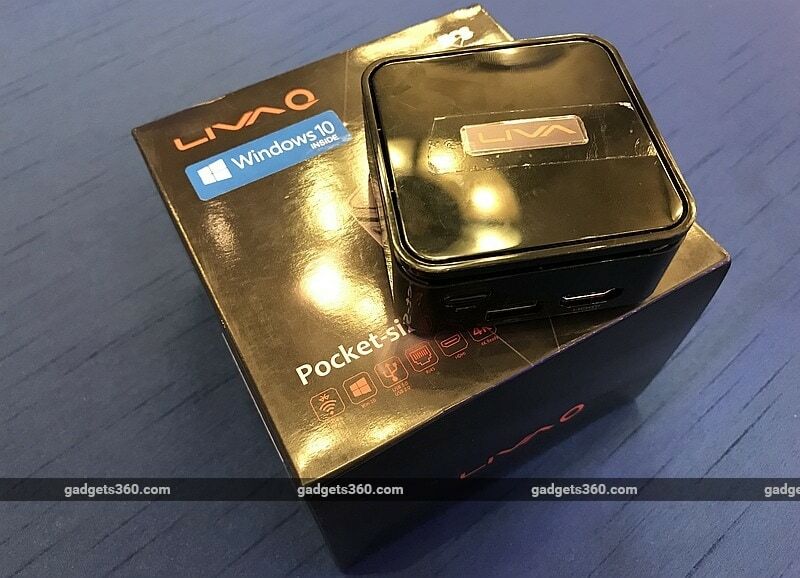 As per ECS, the LIVA Q comes with support for Windows 10, although as per ECS, the system will be capable of running Ubuntu Linux. At the launch event in New Delhi, ECS said that the LIVA Q 4GB RAM/ 32GB storage variant with Windows 10 Home will be available at Rs. 15,500 (excluding taxes), while the same LIVA Q model without an operating system will go on sale at Rs. 13,500. Both the devices will be available in India through authorised ECS partners, other reseller channels, and e-commerce channels. When it comes to specifications, the ECS LIVA Q is based on either quad-core Intel Pentium N4200 or dual-core Celeron N3350. As mentioned, the computer offers up to 4GB of LPDDR4 memory and up to 64GB of eMMC storage. In terms of connectivity, the computer has a microSD card slot, a USB3.1 Type-A port and a USB2.0 port, one HDMI port for video output, 802.11ac WiFi and Bluetooth 4.1. In terms of dimensions, the LIVA Q measures just 70x70x31.4mm and weighs 260 grams. The mini PC also comes with a VESA mount, allowing users to hang/hide the mini-pc behind monitors/ TVs.